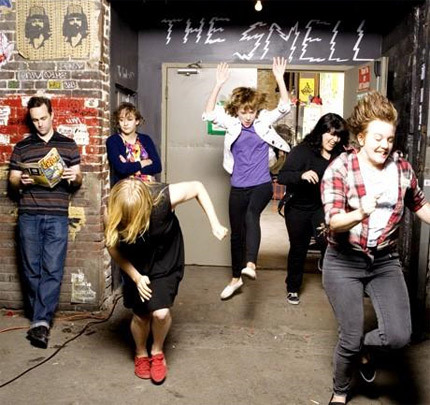 Since 1998 The Smell has been a community oriented art and music space open to people of all ages who are interested in participating in and supporting an environment of creativity and artistic innovation and freedom. Throughout its more than 10 year history, The Smell has been dedicated to the principle of D.I.Y. We are completely not-for-profit and volunteer run. The community of individuals who call The Smell their home, whether it be the musicians who play here, the artists whose work hangs on our walls, or the dedicated supporters who attend our events week in and week out, are the same individuals who book the shows, run the front door, provide quality sound engineering services, staff the vegan snack bar, and help with cleaning and general upkeep. In the interest of these principles, and in keeping with our commitment to creating and maintaining a space that is dedicated first and foremost to the art and the music, and to complete artistic freedom and innovation, The Smell is open to people of all ages and is alcohol free. We also are dedicated to keeping our events affordable, and most of our events are a low $5 admission. We appreciate your continued support and participation, and hope that you will continue to consider The Smell your home and to provide your invaluable input to our community.